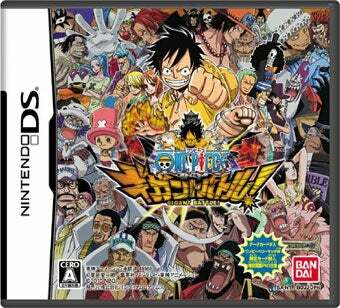 The battle for hearts and minds and portable gameplay time in Japan has been won by One Piece. The latest manga-based spin-off has kicked MonHun Nikki, the cuter version of Monster Hunter, from its top spot overseas. It was a slow week in terms of exciting Japanese sales developments. Wii Party made its way closer to selling a million copies in Japan—it should do so within the next week—and UFC Undisputed 2010 bowed in Japan with an unimpressive showing. Oh, and One Piece: Gigant Battle moved more than 100,000 copies in its first week. You can see all the number-based excitement for yourself by surveying this weeks' bestselling games in Japan, as compiled by sales tracker Media Create.